I have a really awesome challenge to share with you today. This is new challenge from A Blog Named Hero. It is a photo inspiration challenge. 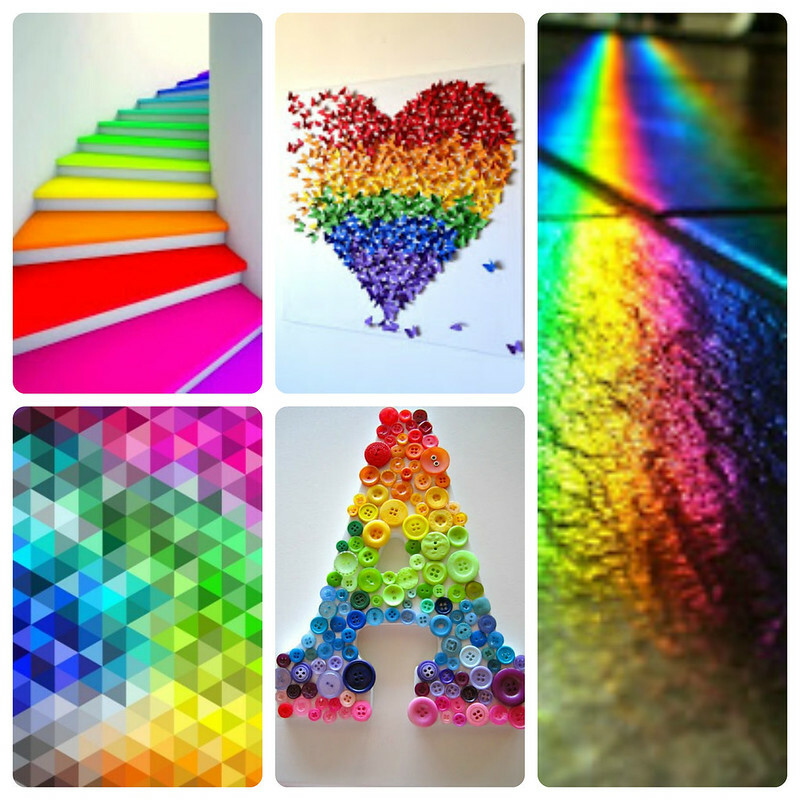 When I first saw these beautiful rainbow photos, I was like YES! It was made for me! I am very excited because vibrant colours are my forte! 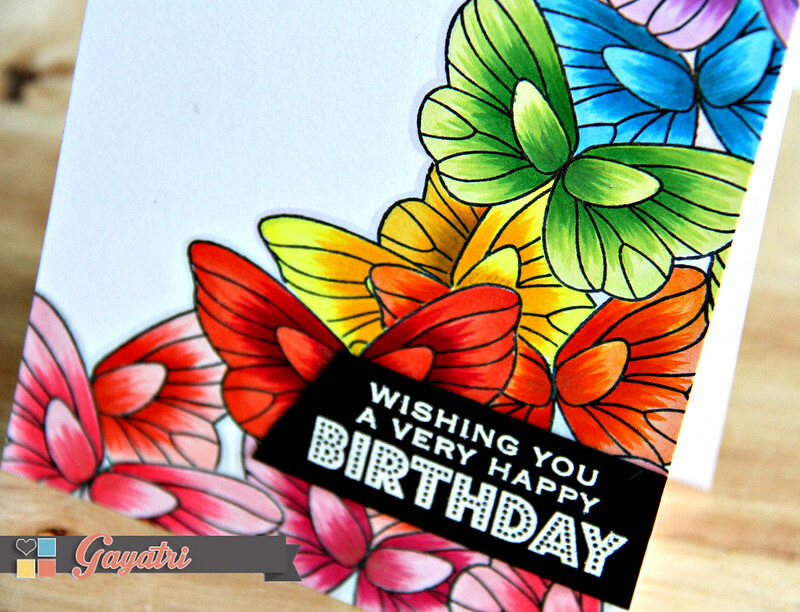 To make my card, I decided to mask and colour my images in rainbow colours. Here is my finished card. I stamped three of the outline butterfly imaged from Hero Arts Stamp and Cut Butterfly stamp set on masking paper and cut them out. Then one my card front, I stamped three butterflies at various angles and places to start with. These butterflies are the ones, that stay on the top. I covered these butterflies with the mask, then started stamping rest of the butterflies constantly masking the butterflies around and stamping to get a cluster of butterflies on the right side of the card front. I suggest you practice this on scrap cardstock before starting on the card front. I then coloured the butterflies with copic markers in rainbow colours, starting with pink, red, orange, yellow, green, blue and purple. To make the colours interesting, I have added shading in feather strokes. I absolutely love the colours. So vibrant and eye catching. I went over the outline with a light grey marker to give the butterflies a bit more depth. Finally I white heat embossed the sentiment from Hero Arts Many Birthday Messages stamp set on to a strip of black cardstock, trimmed a edge at an angle and adhered on the card front using foam adhesives. I have finally added some glitter to the inner wing segment of the butterflies. Thats it. I haven’t added any sequins or enamel dots because I wanted the colourful butterflies to be the focal and highlight of the card. Hope you liked my take on the challenge. Check out A Blog Named Hero for more design team inspiration. Come and play along with us. I LOVE LOVE LOVE this card. And I don't care for butterfly stamps, but you do make them look amazing. Wow!! Love this card!! Very very beautiful!! 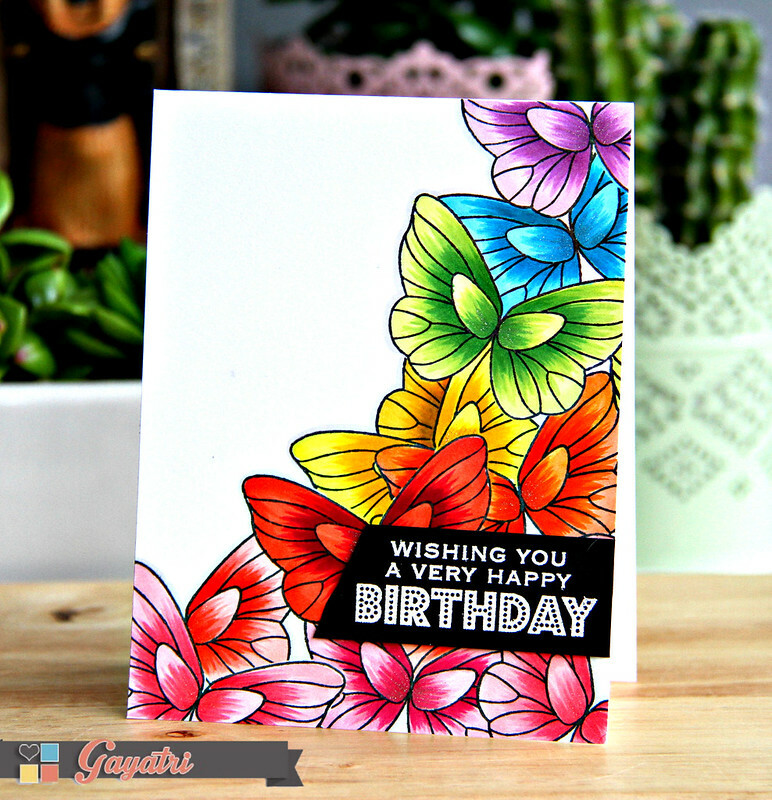 Loving this colorful Happy Happy card ! OMGoodness…this is stunning. When I scrolled down to get the full view of the card, it took my breath away. Love the butterflies vibrant colors and esp the layout! Beautiful! I LOVE your card ! !The colors are Perfect. Thank you for your instructions too. Absolutely beautiful and so vibrant.